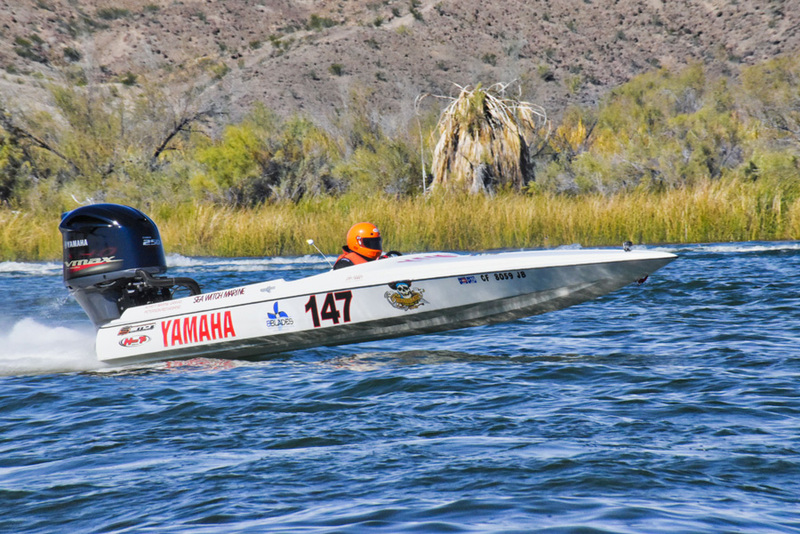 The 2018 Parker Enduro was a great one for the Division VI boat #147. 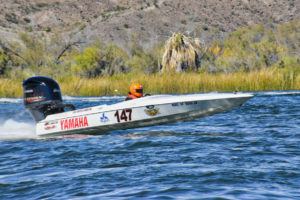 The second year in a row for the Sea Witch Marine/Yamaha/Bblades entry to take the checkered flag. The race is a grueling test of man and machine. This year we approached things a little different. In the past, we had always chosen Yamaha’s TPX propeller because it provides the extra support this boat/engine combination needs. 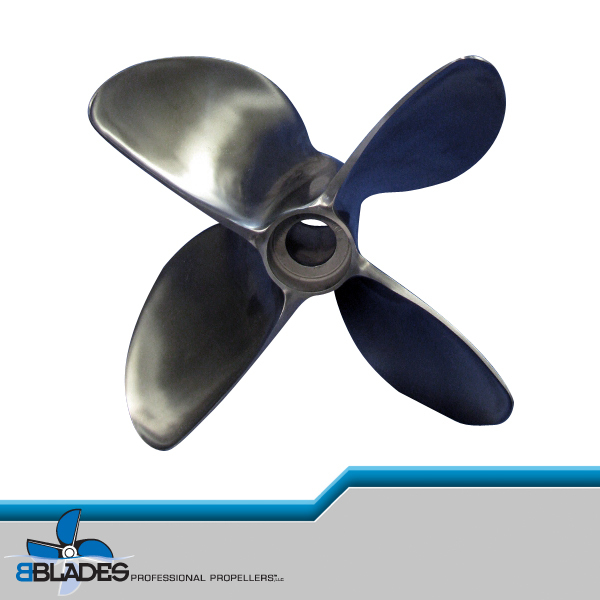 Instead of running it right out of the box, 3 of our best performing propellers were sent to Brett at Bblades Propeller. Brett worked his magic and the results were astounding! The first 15 laps or 90 miles of this race can be characterized as tight traffic and extremely rough. We needed a propeller that would keep us in the torque curve no matter the speed, it had to hit out of the 180’s and accelerate hard off the huge wakes set down by the GN’s. Its not our habit to tip-toe around the corners but attack the buoy line and come out tight. The big Yamaha 4.2 SHO has the torque and the reworked Bblabes TPX turbo propeller worked for us big time. So for next year? Test? No need, it’s perfect now. Mr. Shamo Shameel of the Sheriff Lobo Race Team would like to officially thank BBlades for your professional & technical support to our team for the 2017 & 2018 seasons. We wish your organizations and your families ~ A Merry Christmas & Prosperous New Year! We look forward to our team’s future development and more successful performances in 2019 using your new propellers technologies. 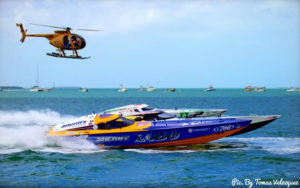 Thank you for the support as we continue to improve and search for our 1st place checkered flag finish at the World Championship Key West Event in 2019. Best of Wishes & Happy New Year!!!! Propeller shows no signs of cavitation even under hard cornering with the motor partially Jack Up and boat trimmed out. Pulling power is good, no problem pulling out single ski’s, as acceleration is excellent. I have still to fit the Nose Cone with the lower Water Pick Ups, this will allow me to run the motor slightly higher that present. But it has been a Great Result and worth all the effort. Thank You for your efforts and I will keep you informed of the result after I have fitted the Nose Cone. 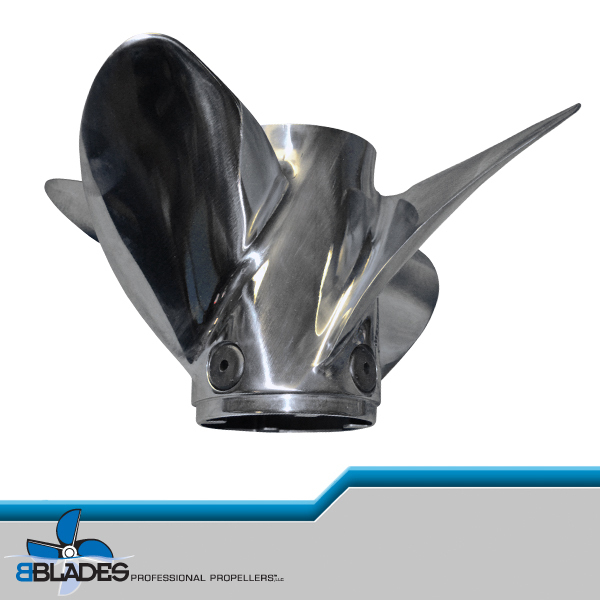 PS – Your Propeller have cause much comment when viewed by others, so I have passed on your company details. I recently purchased a Blaster 29 pitch from you based on your recommendation for my boat/engine set up as I described it to you. I just wanted to say that you hit the nail on the head with the recommendation and I have been extremely satisfied with the prop. It is running right at the correct rpm range as well as giving me more speed than i was expecting. The prop is far and away the best that I have ever had on my boat! 260 from Jay Smith, I got 113 mph in short order. I love this prop. 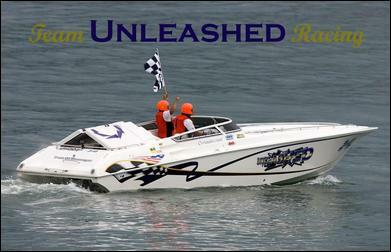 Tell Brett, Team Unleashed is #1 in the P2 class heading to the National Champion in Lake of the Ozarks. We are the points leader and the team to beat. The BBlades he made for us are running great. We will bring him another National Title after this race in the P2 class. Hey Brett… Thanks for the labbed 26. Working good a few weeks ago when we made the Statue run. The used pair of props we sent to BBLADES could only be described as ‘battered’ at best! Every tip had been taken off. What we received back I could not even believe were the same props.. They were simply better than new. I said to Brett I presume these will only be suitable for recreational boating now but he said absolutely not, they are ready to race! And that’s exactly what we did with them, with substantial wins in both of the Powerboat P1 World Championship races in Gothenburg, Sweden. I just wish we had been using BBLADES for all our propeller requirements since the start of the season. If we had I truly believe we would be winning the championships overall right now! Team SW1 Capital has great appreciation for all the help & assistance BBLADES gave us. Check out the attached GPS reading from 2 weeks ago heading from Old Saybrook, CT. over to LI. This was in some pretty snotty water and still more to go! 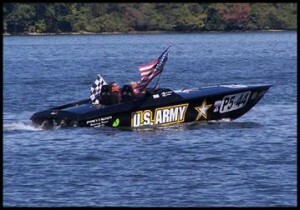 I have put the boat away for this season as I have several business related weekends including SEMA in 2 weeks. My point is I still have not found the “ultimate sweet spot”. 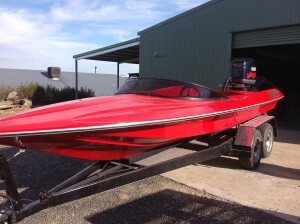 When I built the power I said the boat could run 113. Not one person believed me and said I would be lucky to tickle 100. Well, I may be off a bit, but 110 is definitely out there in no small part thanks to your awesome prop blueprinting. I apologize for not getting in touch with you sooner. If you recall you blueprinted a set of 16.75X31 4 blades (number 6’s) for me. We finally got the boat out several weeks ago. The props worked out fantastic. They almost feel like they are slipping in the mid range, but around 4500 they come alive. We gained the RPM we were hoping for and than some. I have picked up 7 mph……….from 98 to 105. 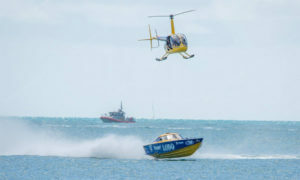 See attached video from a poker run we did last month. This is returning from Newport, RI. Needless to say we are the boat walking away from the other 2. I’m guessing to be 65 mph. WOW! those are some pretty good #’s for a stock 22 ft bow rider. Thanks and I’ll be referring people your way, I have an acquaintance with the same boat and setup who will be sending his props your way in the Fall. I would say that it has been a pleasure as well as a huge success working with you on our racing props. That makes your company an Integral part of our success in winning four races this year, including The National Championship. Thanks Bblades! I did not know that a lab finishing could change the boat’s performance so much, I am very pleased (both increased in speed and rough water handling) with what you have done for me, both boats, and will definitely recommend your services to other people. You guys reworked my 28P Bravo III. I am happy to report that the boat holds much better in a turn and the vibration is all but gone – much better….Great Job! Just wanted to give you an update on the prop I got from you guys. It’s AWESOME!!! My Hats off to BBlades and Company for the outstanding work you do…Results were more than I expected but exactly what was predicted. Great doing business with you. Ran our new BBlades Props in the 40 Km Top of the River Race with a combination of male/female skiers at a top speed of 87mph, the propellers really helped the Boats Performance. 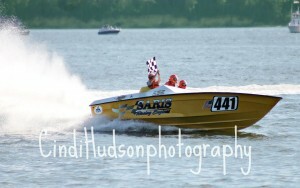 Record to date, 3 Starts for 2 Wins and 2nd using BBlades Custom Propellers. Just tested my 21P Mirage Plus that you Labbed. Nice job, picked up a solid 2-2.5 mph on my 24′ Formula 242LS with a steadier bow. Thanks for the good work! Just to let you know the labbed 25P Mirage Plus you did for me is awesome. I picked up about 5 mph and dropped about 300 rpm over the stock 23P Mirage Plus. Hole shot seems equal. Thanks for being so helpful and making a very good recommendation, job well done. Pleasure doing business with you. I didn’t know Lab finishing could would change the boat’s performance so much. I am very pleased (both increased in speed and rough water handling) with what you have done for me, I will definitely recommend your service to other people. Thanks for getting the props done so quickly for us. They ran just great. Also thanks for the decals we displayed the large ones on the bow and small ones on the transom. Got the prop! It looks great. Thanks for the great service. I will recommend BBlades to my boating buds. I got my 28p props back from you guys and had a chance to try them yesterday. WOW! 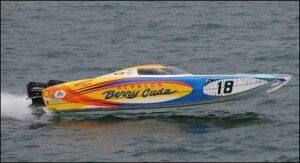 2001 Sunsation Dominator, my previous best in ideal conditions was 80. 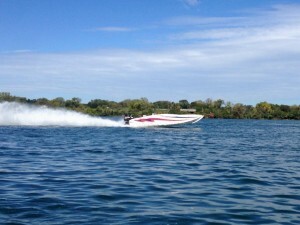 Yesterday, I had a full tank of fuel and smooth water and was running 82! Thank you guys for the great work! We have had a big year. Record breaking wins in The Bridge to Bridge and Mildura which are two of our major races, Australian Champions, State Champions, Outright winner of the NSW Point score, Boat of the Year which means we are given the privilege of having the #1 as our race number for the next season, this is the 7th time we have held the title of “Boat of the Year.” Thank you for your support and great props! It was a treat to have Bblades do the magic on our old beat-up props. Thanks so much for the extra touch and once we regroup you will have our business 100 percent! Thanks again! BBlades, I decided to have my prop labbed. The results were fantastic, plus I gained 6 mph. Knowledge is the key and they have it. I wouldn’t trust my prop to anyone else. Thanks for doing such a great job with my Enertia prop. I originally had bad vibration with the new prop. I have finally been able to spend a day on the water with the newly balanced prop. 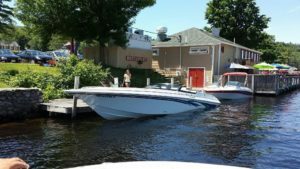 I was running my 2000 Crownline 225BR, 350 Mag, Bravo I, 1.50 gears, full load of fuel, 3 people, full load of boat gear, with rough water and 15-20 mph cross wind. The boat ran extremely smooth. All vibration was gone. I ran 55.3 GPS. Thanks again for the great job tuning this prop. I couldn’t be happier! 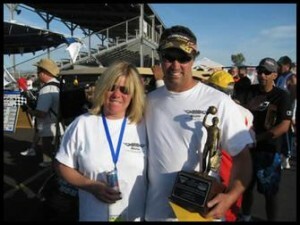 Thanks for getting my propeller repaired in such a quick time so that we could make the Chicago Poker run. It is a pleasure seeing that kind of customer service in the marine industry. You don’t see that very often. I will continue to refer others to you! Thanks again! BBLADES labbed my Bravo props, adding cup and pitch. 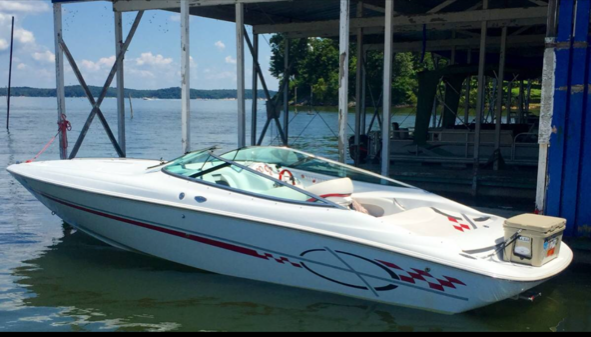 I picked up a few miles per hour on the top-end, and amazingly the boat gets on plane easier and has a better mid-range cruise speed. I’m very happy with the end result and will highly recommend BBLADES. I think we have a problem. I received the props and I’m sure they are not the props which I sent to you. I sent you three pieces of junk, and I received three better-than-new props…really impressed with your work. I was able to go run the 31s over the weekend. WOW! With the addition of the Dominator carbs and your lab work, I was able to make pretty astonishing gains. Got to give 3 mph to the props and 4 mph to the carbs. Great stuff! You did a blade for me a few months ago, it worked real well on my Pantera. I let my buddy try it on his Sonic for the Lake George Poker Run. He ran his best speed and planebility. Thank you very much, it’s nice to get great service. Thanks again! This is a late follow up, but I had to let you know how the Powerquest prop worked out. I put the Rev 4 on my powerquest 237 before a week vacation cruising Northern Michigan. The boat was loaded with food, fuel and gear for my wife and I and our two daughters for a week. I never mentioned anything to my wife about the fact that I couldn’t wait to test out the prop, and I honestly thought I might have to even convince myself there would be a noticeable difference. Ten minutes on the water and I put the boat on plane. Man, I was more than impressed. What a beast out of the hole—fully loaded. My wife then said, “I can tell by the smile you like the new prop”. Who knew she paid attention to things like that. 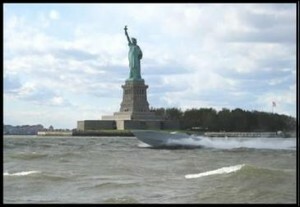 At cruising and slow speeds, that prop just held the boat on plane or got it back quickly, especially in rough water. I did lose 2-3 mph from top end, but I expected that. Bottom line: the prop was awesome, a real workhorse just as you guys described it would be. Thanks for all the help, advice and time you spent to set us up with a great prop for our boat. My 30 Skater is now running a solid 102 mph with a pair of your 14.75×33 Blasters and the tireless set-up efforts done by Chris Overcamp from Bow & Stern Marine, (NY). I was truly amazed with the improved handling in the rough stuff that Lake Erie can deliver. The added stern lift delivered a much better running attitude allowing me to push a little harder on the throttles without the bow popping up so quickly. My first look at the props and I thought, What are these granny blades going to do on a cat? Chris told me to just try them and see how I’d like them, (he already knew they worked for speed and handling) so I did, and boy, did I become a believer! These props will definitely stay in my inventory, particularly when the Lake Erie is showing it’s little white teeth. This is Tom Berger from Traverse City, MI. Last summer you helped me out with porpping my 31 fountain cc. We went with the 4 blade O/8s and they are awesome! Just the right amount of lift and the gains are awesome from hole shot to top end. On the top I see 6 to 8 mph depending on the load I’m carrying (250 gallon fuelage) 68 – 70 mph. We tried the 22p which hit the rev limiter and went with the 24p I’m right at 5700 – 5800 rpm. It stays planted on hard turns and I couldn’t be happier with my cruise speed. I know you told me to call you back and let you know how the 24p O/8s worked out, but you’re busy and I see you on here a lot so I thought you can read this in your off time. Thanks again, you’re awesome to deal with! I sent my bravo 1 props off my 32 fountain back in February. Finally got the boat out this past weekend. I just wanted to say you guys nailed it. very impressed of the performance. Rpm drop right to 5200 and able to trim and not go over limit. She comes out of the hull even better than before and cruising at 3600 rather than 4000 before. I will most definitely will use you again for any other prop work. Hello, got my prop back from you guys a couple days ago. Just wanted to say thanks for the great pricing and service. Totally impressed with your craftsmanship, and will recommend BBlades every chance I get.